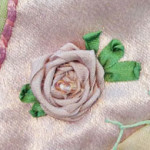 Have you ever seen silk ribbon embroidery? It’s a gorgeous form of three-dimensional embroidery worked with delicate silk ribbon. 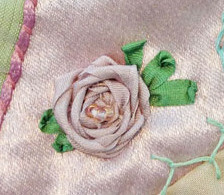 This two-part article delves into the wondrous art of silk ribbon embroidery, covering everything you need to know to get started. This entry was posted in News and tagged Basics, Embellishment, Tutorials. Bookmark the permalink.